San Antonio is one of the most haunted locations in South Texas. Between the Alamo, the Devil’s Bridge, and the Cadillac Bar, there’s no shortage of opportunities to see frightening sights. However, today’s entry has one specific — and spooky — focus: the Majestic Theatre. 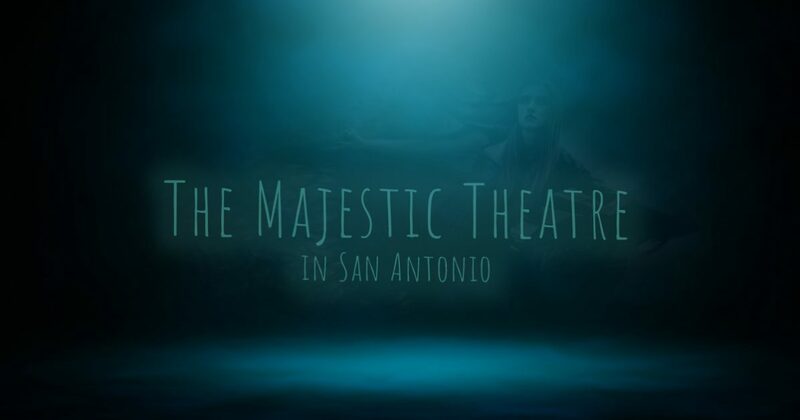 Read on to learn about the Majestic Theatre’s history and paranormal activity, and be sure to book a ghost tour in San Antonio with RJA Ghost Tours today! The Majestic Theatre is one of San Antonio’s most impressive haunted locations. It first opened its doors in June 1929, with its 15 stories towering high above the street. In addition to being the largest theatre in the South and the second-largest theatre in the country, it was also the first theatre to offer Texas residents air conditioning. In fact, it was the first public space to offer air conditioning to the public, (understandably) cementing its status as a local hotspot. While the Great Depression devastated the American economy later in 1929, the Majestic Theatre was one of the businesses that remained almost unaffected. People needed to escape from the burdens of the economic depression, and it turns out that movies and performances were exactly what the public needed. The Majestic continued as a successful enterprise until the mid-1970s, when a change in management prompted the business to close its doors to the public. However, the Majestic was remodeled and restored in 1989, and the renovations were officially completed in 1995. It remains a thriving local point of interest this day, especially if you’re interested in the paranormal! Both staff and event-goers alike have reported strange sounds and sights in the theatre. The second story of the Majestic is home to a womanly specter who appears to have a penchant for performance art. Staff members, performers, and members of the public have all seen her figure standing in the same place, leading some to wonder if she frequented the Majestic during her lifetime. In fact, many speculate that she was likely a season ticket holder! If a second-story specter isn’t spooky enough for you, there have many more strange occurrences in the Majestic. Members of the cleanup crew have seen the stage’s curtains fly open long after the staff has gone home, and some attendees have even seen ghostly figures on the stage. Staff members also report hearing whispers and disembodied voices echoing throughout the empty theater, and while many attempts to explain these occurrences as the product of the Majestic’s amazing acoustics, we respectfully disagree. While we may not know who the second-story woman is or where the apparitional audio originates, we do know that you’re in for a genuinely eerie time if you make your way to the Majestic Theatre. Keep an eye on our blog page, as we’ll continue to provide you with more information about haunted places in San Antonio in the coming weeks and months. RJA Ghost Tours is proud to offer fun and frightening ghost tours in San Antonio. Our professional paranormal investigators will show you some of the most haunted locations in the area — book your tour today!